We created this ranking to save you time on your pillow-shopping venture. But if you really want to get right down to it, here’s what you need to know: The Shredded Memory Foam Pillow by Xtreme Comforts is the best pillow for stomach sleepers. It’s eco-friendly, it won’t flatten or lump up, and it’s got just the right amount of support. Stomach sleepers catch a lot of flak. 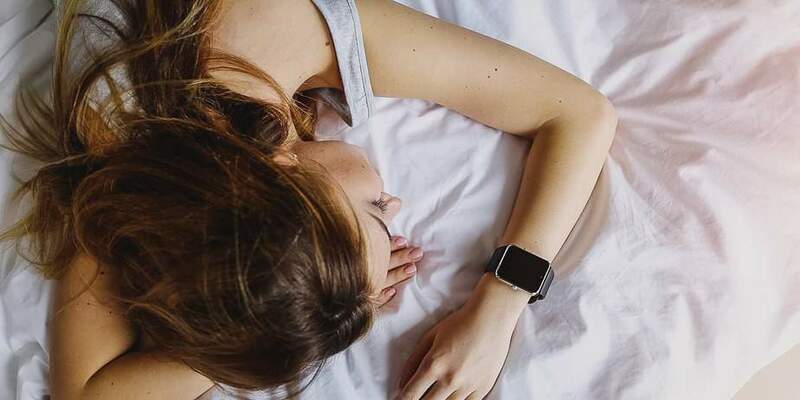 According to sleep experts at the Mayo Clinic, stomach sleepers are more likely to experience neck and back pain than those who sleep in other positions. Because this position can cause stress on your spine, you may even experience nerve-related discomfort like numbness and tingling in other parts of your body too. On the upside, stomach sleepers are less likely to suffer from snoring and/or sleep apnea. And, if you ask us (or our bed partners), maybe a little neck pain isn’t such a bad trade-off for no snoring. As it turns out, you don’t need to suffer through neck pain, either. All a stomach sleeper needs is great neck support, something to prop up the pelvis, and just the right amount of fluff for comfort and the occasional pillow fight. Yes, we have recommendations. And yes, they are pretty awesome. Can’t wait to crash into bed? Here are the pillows to help you fall into sweet, sweet slumber. 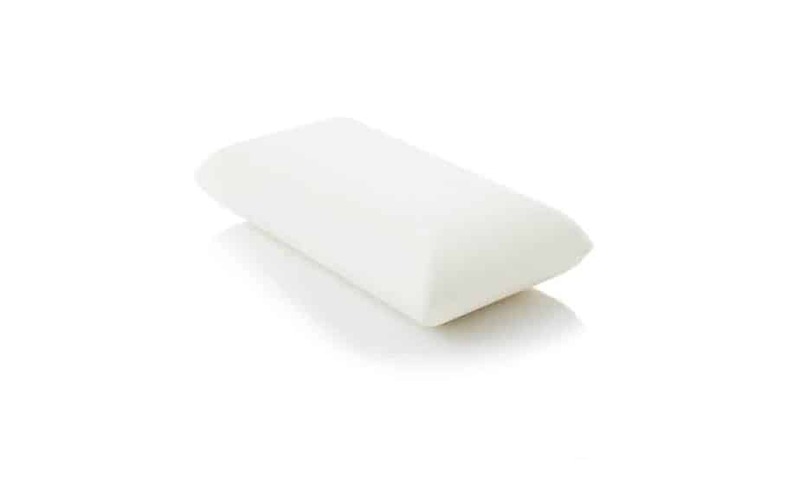 The Shredded Memory Foam Pillow from Xtreme Comforts is the best in the game when it comes to redistributing your weight without getting compacted or lumpy. Add in an eco-friendly, moisture-wicking, 240-thread-count pillow cover, and we’re in love. The Serta Perfect Sleeper Pillow is an excellent option if your budget is tight. Who says we can’t all enjoy the plush comforts of a 300-thread-count cotton cover, even if we only have $30 to spare? The Snuggle-Pedic is a lot of things: stylish, durable, and definitely eco-friendly. We love that it’s earned CertiPUR-US certification as well as the GreenGuard stamp of approval for its sustainable manufacturing processes. Should I Buy a Stomach Sleeper Pillow? Only 7% of the world’s population collapses into bed, face-down and clutching onto their pillow as if for dear life. Those who sleep on their stomachs — called free-fallers — face some unique problems compared to other types of sleepers. There’s usually a strain on the spine caused by this sleeping position, which often leads to neck, upper back, and lower back pain. Pillows for stomach sleepers are designed to provide neck support and to keep the spine and pelvis aligned, decreasing your chances of waking up sore. We can’t all be stationary sleepers who wake up with not so much as a wrinkle on the bed sheet. Some of us doze off in a cute fetal position and wake up with only 50% of our bodies still in bed. If you tend to move around a lot in your sleep, a stomach sleeper pillow is a good choice. 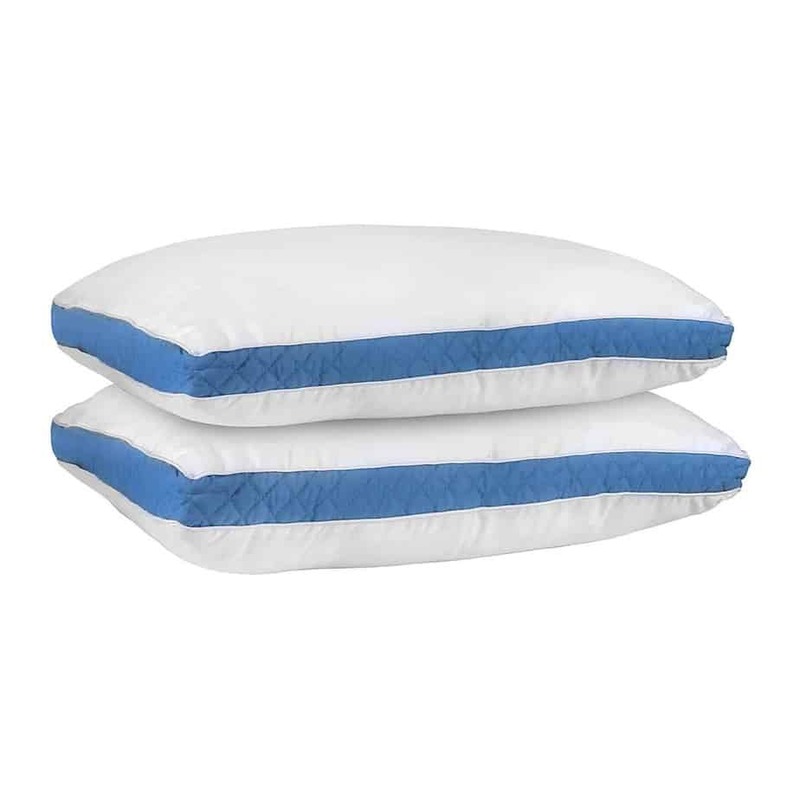 These pillows tend to be fairly universal, making them ideal for combination sleepers. They are often the right size and firmness for supporting your neck, back, and shoulders in just about any position. No, it is not normal that you want to launch yourself off the balcony when the morning alarm goes off. Being persistently cranky when you wake up might point to a little more than a caffeine addiction. In order to wake up well rested, you must remain in the REM phase of sleep, uninterrupted, for considerable lengths of time. If your pillow is sabotaging your attempts at REM sleep, you’ll find it very difficult to greet the day with your usual charm and grace. Next time you fantasize about strangling your colleague for their chirpy morning small talk, just remember that it’s not Pete who needs to shut up — it’s probably you who needs a better pillow. Believe me, nodding “yes” or “no” is a life skill you don’t want to give up. Usually, sleeping on your side or back is easier on the neck than sleeping on your stomach. But if you’re going to sleep on your stomach, consider using a feather or memory foam pillow. These will contour to suit the shape of your neck, providing much-needed support. Avoid pillows with a high loft, or pillows that are too stiff. You want to make sure that your neck is resting in a neutral position, not flexed upwards because your pillow is too high. Back pain is common among stomach sleepers. Thankfully, slipping a pillow under your hips can make all the difference. Doing so will help keep your spine properly aligned and take the pressure off your aching back muscles. Down-alternative pillows are ideal for this use. They are typically designed to be flat in the middle with a little more volume on either end. This design will keep your pelvis in place while you sleep. If you are using the right pillow, you shouldn’t be waking up to a dead arm and the resulting torrent of pins and needles before it comes back to life. Memory foam pillows can work magic when it comes to shoulder pain. With a supportive memory foam pillow, you can avoid the lack of blood flow that often leads to nerve compression and tingly arms. Be sure to pick an orthopedic design — it’ll straighten out those kinks in your shoulder muscles and leave you ready to throw a punch on invitation. The reason we can’t get over shredded memory foam is simple: The distribution of the material gives pillows a shapeable, squishy feel that is so far unrivaled. But this Shredded Memory Foam Pillow by Xtreme Comforts does you one better. It redistributes your weight without becoming too compact or lumpy, which in turn allows for increased airflow and cooling. Considering it has a 5-inch loft, we can’t pretend we’re not impressed. The pillow arrives vacuum-sealed, and plumps up as soon as it is opened. It offers notable plush support with unparalleled pliability. The natural fiber, eco-friendly, moisture-wicking, 240-thread-count pillow cover is basically the icing on this plushy cake. With through-the-roof customer ratings in terms of comfort, it’s no surprise that Xtreme Comforts takes home the title of best pillow for stomach sleepers. 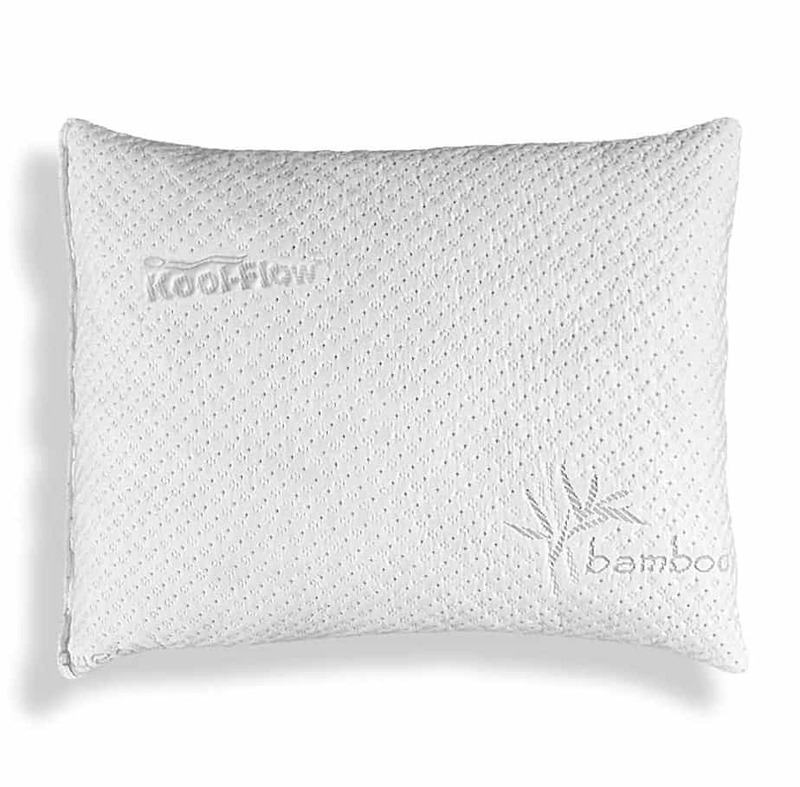 Much like the Xtreme Comforts pillow, the Snuggle-Pedic Ultra-Luxury Bamboo Pillow is comprised of shredded memory foam in a micro-vented, embroidered bamboo cover, making it a fierce contender for the top spot. However, it costs nearly thrice as much as our winner. So, while we are thoroughly impressed by the unique mix of hypoallergenic memory foam, we can’t help but be swayed in favor of the cheaper option. That said, the Snuggle-Pedic Ultra-Luxury Bamboo Pillow proves it’s worth the price in more ways than one. For one thing, the Snuggle-Pedic offers a 90-day sleep trial and a 20-year warranty. If that doesn’t make you feel like the company has confidence in this product, we don’t know what will. 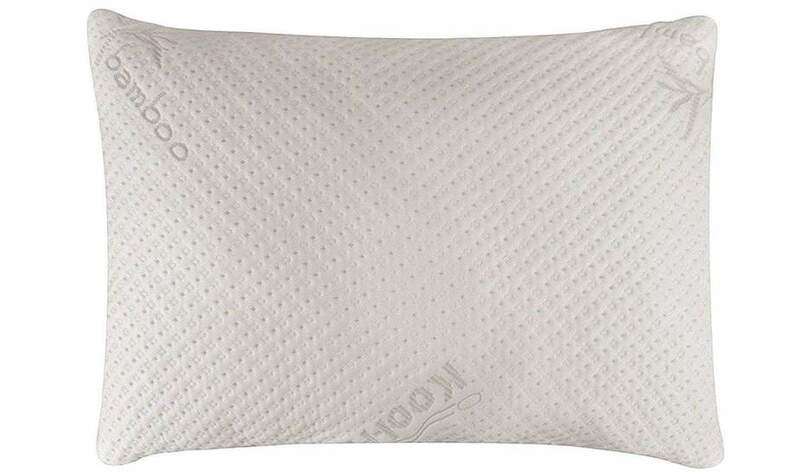 To top things off, this pillow is not only made with eco-friendly materials but also offers orthopedic support for various sleeping positions. With filling that basically never goes flat, it’s safe to say that this bad boy is well worth the splurge. We know what you’re thinking: a water pillow? At a weird alternative resort, maybe. But who wants to dive into that sloshy mess on a Tuesday night? We’ll tell you who — stomach sleepers with neck problems. No doubt, the water pillow is not for everyone. In its defense, we’ll have you know that water pillows are a sturdy cotton-padded cushion that may even pass for a regular pillow. Their only difference is an internal structured pouch which is filled with water to give a bouncy, surprisingly comfortable feel. The Mediflow Waterbase tops the ranks when it comes to water pillows, and easily holds its own against conventional pillows — which, by the way, often end up deflated and lifeless after some years of usage. With the water pillow, all you need to do is to fill that pocket with water, and your pillow is back to its regular plump self. Add in its hypoallergenic polyester filling, customizable firmness, and a machine-washable cover, and you have a water pillow that will give your precious memory foam a run for its money. There aren’t too many memory foam pillows that deliver on their promise to provide the right balance of comfort and support. The Coop Home Goods Original Pillow is one of them. This pillow offers a fine blend of polyester and bamboo. And don’t even get us started on that gorgeously embroidered breathable cover. Whoever thought it would be a great idea to shred the memory foam filling and put it in a plushy fabric case should be given a raise, like, yesterday. Did we mention that it works for all sleeping positions? And with its hypoallergenic cover, you’re free to nuzzle into the pillow’s soft embrace without fear. Although the fill might be a bit on the firm side for some sleepers, most people will find that’s exactly what they need. We happen to think that these are some of the most underrated choices in the pillow world. 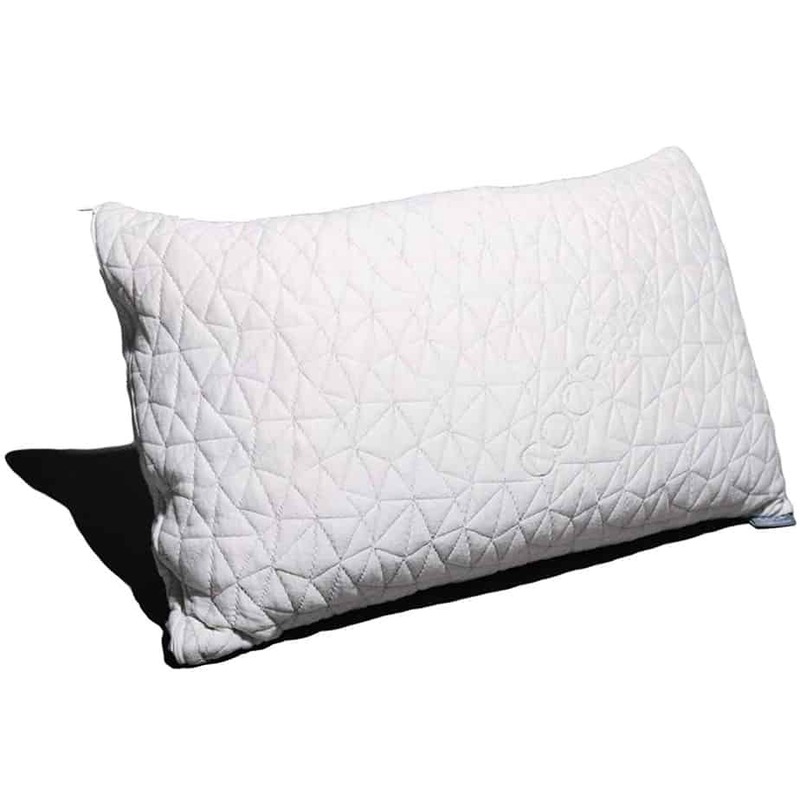 The Gusseted Quilted Bed Pillow from Utopia Bedding offers medium-firm filling, which is perfect for anyone who struggles with pillow-related neck or back pain, and its case is top-quality 96 GSM (grams per square meter) microfiber. When it arrives, the pillow will be very flat — give it about 72 hours to fully fluff up. Trust us, the wait is worth it: Although its exterior is no-frills at best, you’ll be surprised by the luxurious feel of this pillow. It is hypoallergenic, machine washable, and promises to straighten out your spine — what else could you possibly want in a pillow? With their plush microfiber fill and 300-thread-count cover, Morningstar Down Alternative Pillows are popular for all the right reasons. What sets this pillow apart? It’s not just the fact that its innovative design supports your neck and back, improving your posture while you sleep. And it’s not just about its amazing construction, which basically contours to your frame. It’s also the fact that this pillow looks really good while doing all those things. 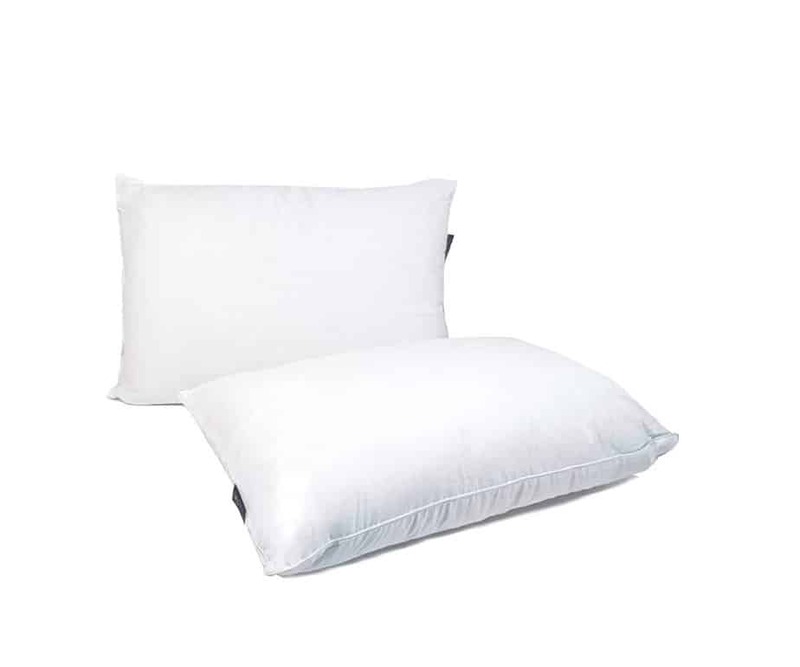 Finished with satin piping and a 1.5″ gusset for maximum loft, this down alternative pillow is a perfect balance of squishy comfort and supportive firmness. It doesn’t retain heat, and it’s a good choice for asthma and allergy sufferers. However, some folks have reported that the loft is a little high for stomach sleepers, which is why it drops past the halfway point on our ranking. You have to admit that a pair of pillows for stomach sleepers that costs under $30 should be written down in history as a miracle. This polyester fiber-filled pair provides cushiony support, reassuring us that in a world full of $200 options, everyone deserves a 300-thread-count pillow cover. The Serta Perfect Sleeper is an excellent choice if you are looking for something thin to slide under your hips for support. Their slightly firm fill makes them a perfect prop to get your spine aligned and soothe your aching back. Sadly, we can’t rave about their fluff or aesthetic quality. They also don’t fare well with anything but a mild tumble dry. However, if you are looking to spend as little on your pillow as possible without sacrificing quality — this is as good as it gets. And in terms of comfort, it will give you a good run while it lasts. 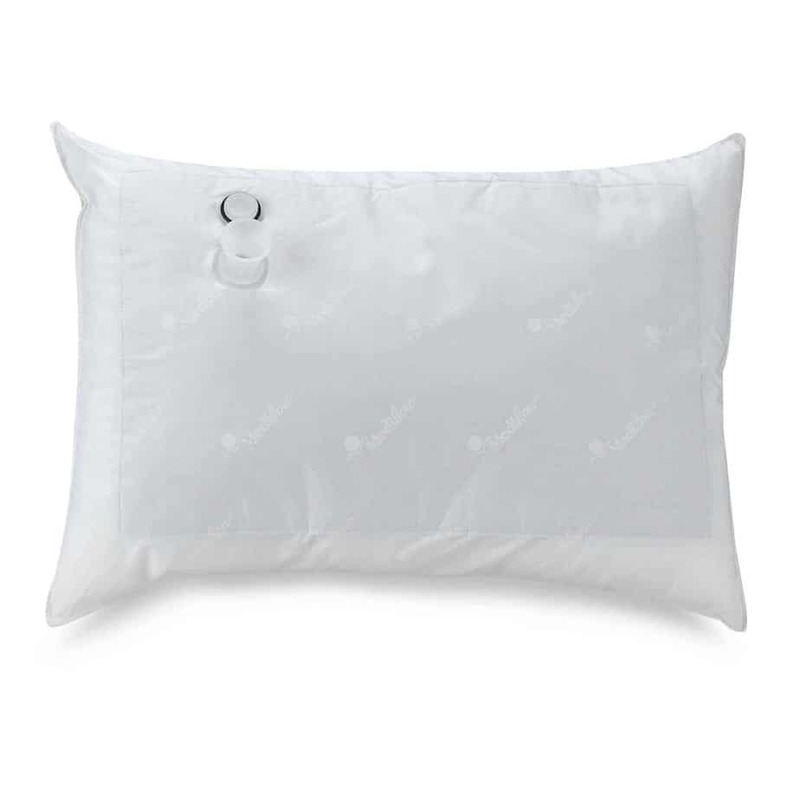 Malouf takes mundane memory foam and gives it a modern edgy twist with this single-piece pillow made of rayon from bamboo and infused with a variety of scents. All other pros and cons aside, there’s just nothing like the reassuring scent of chamomile or peppermint lulling you to sleep. The Z Dough features a soft aerated surface and comes with a removable zippered cover. With its unique zoning technology that provides a flawless combination of comfort, support, and breathability, this pillow promises unrivaled head, neck, and back support. This pillow is definitely at the higher end of the price spectrum, and many people — especially stomach sleepers — may find that it’s just a little too firm to really be comfortable. 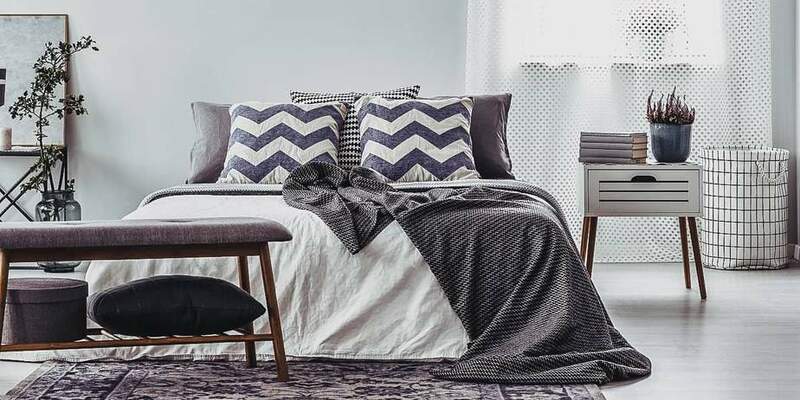 That said, it is available in a number of loft and density choices, so the fault may be more in people choosing the wrong option rather than in the pillow itself. So, what is it about this down-filled pillow by eLuxurySupply that makes it different from the others? We’ve got 2 words for ya: extra soft. Squish this pillow together and your hands are guaranteed to either touch or come impressively close. The secret is in the white duck feathers, which, by the way, are hypoallergenic and animal cruelty-free. Combined with a cushiony cotton shell that’s machine washable, the Stomach Sleeper Down Pillow tops the ranks in terms of luxury down pillows. With a little care, regular fluffing, and some tumble drying, this extra-soft companion will be around for a long time. It does cost a bit more than some people will want to spend, though, and it’s not as supportive as many folks will need. Memory foam is a major fixture in our recommendations. But the Memory Foam Classic Pillow by Sleep Innovations is no ordinary memory foam pillow. It provides next-level comfort by supporting your neck’s contours while cradling your head in the ideal position for spinal alignment. 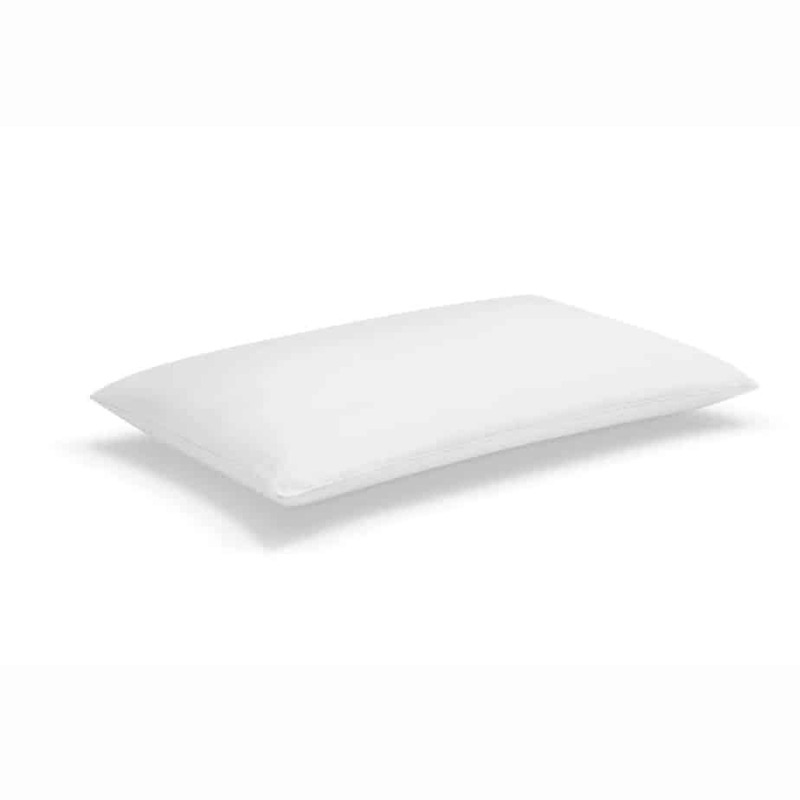 The USA-made foam in this pillow helps to prevent heat build-up for cool, comfortable sleep. The foam is hypoallergenic, although the cover is not. We appreciate the peace of mind that comes with the generous 5-year warranty. While there’s plenty to be said in favor of this pillow, it falls to tenth place due to a number of concerns. The biggest of these is an unusually pervasive chemical smell when the pillow is new. What makes a good pillow for stomach sleepers? The perfect pillow is something of an elusive concept. There are plenty of options out there on the pillow market. But very often, the options are too firm or not firm enough, too high or too low, overly fluffy or uncomfortably thin. Ultimately, all of the parameters for what makes a good pillow are up to the individual sleeper. You’ll need to decide for yourself what your pillow absolutely has to have. But if you know you’re a stomach sleeper, there are a few things you definitely want to look for: decent neck support, relatively low loft, and, most likely, an extra pillow that you can slide under your pelvis to keep your spine correctly aligned. Can pillows help with shoulder, neck, and back pain? If your pillow isn’t doing any of these, it might be time to kick it to the donate pile. It might seem like a lot of pressure to put on a pillow, but the wrong pillow can actually intensify aches and pain. Some pillows are specifically targeted at certain problem areas. 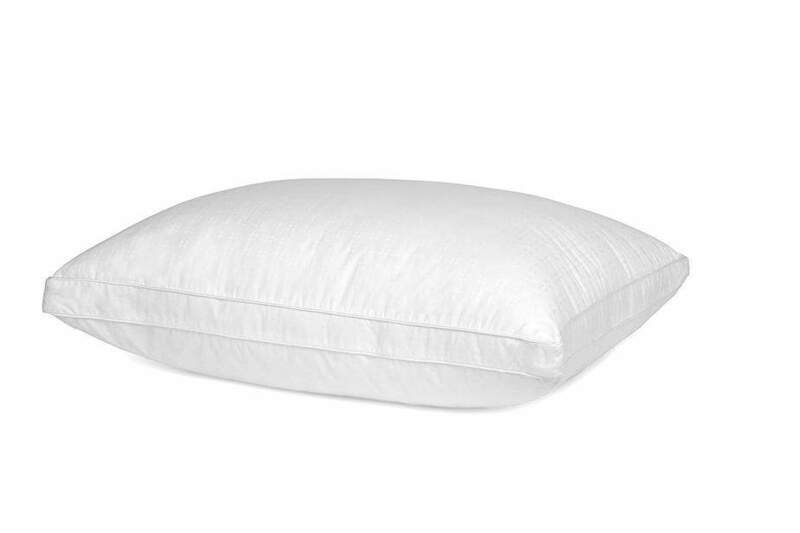 As we mentioned earlier, feather pillows are usually a good choice for those with neck problems, and memory foam for those with shoulder and back pain. Be sure to choose a pillow that can address your individual pain and pressure points. If you don’t, your pillow may end up doing more harm than good. We hate to be the harbinger of chore-related news, but pillows need regular care and maintenance. Thankfully, a mild rinse and a little tumble dry might just be all you need. While pillow covers should generally be washed once a week or so, pillows themselves have to be laundered every 3 months or less. Depending on the filling (and the manufacturer’s instructions), they can either be tossed in the washing machine or dry-cleaned. One important note, though: Memory foam pillows should never be machine washed. To clean them, pat them down with a damp cloth, or mist them using a mild soap solution and a spray bottle. Want to fluff up your deflated pillows? Don’t be tempted to use fabric softener. Place the pillow(s) in the dryer along with a machine-compliant object (like a tennis ball wrapped in a cloth or pillowcase). Set the machine to low heat and tumble dry. Approximately 15 minutes later, your pillows should be fluffy and ready to go. 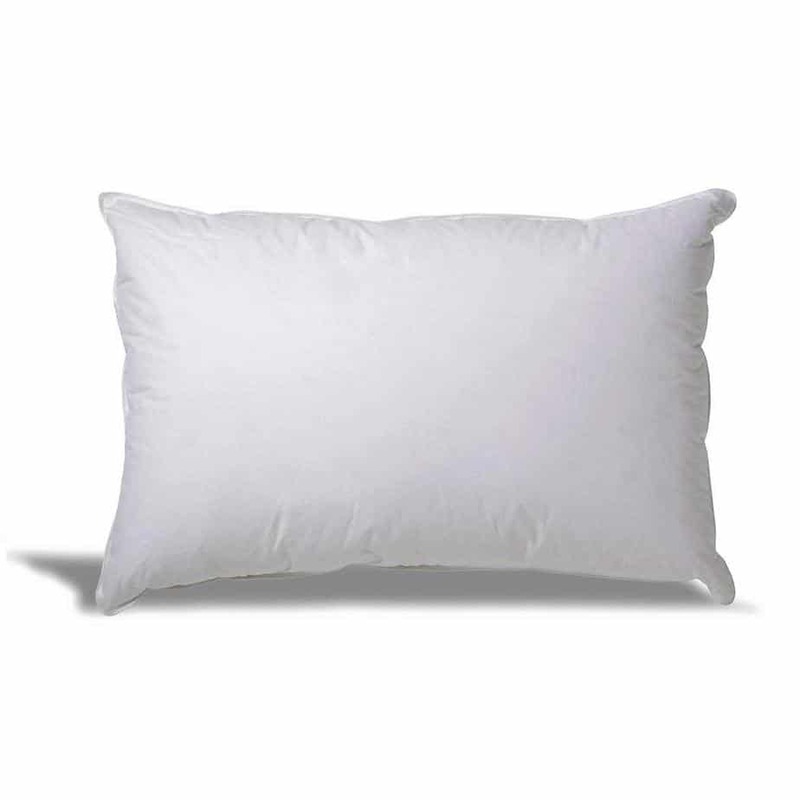 We’ll level with you: We are big fans of the Shredded Memory Foam Pillow by Xtreme Comforts. Between its eco-friendly materials, top-notch level of durability, and overall quality, it is easy to see why it has won the hearts of so many customers and sleep specialists alike. That said, the other contenders on our list are equally worthwhile. Between the Serta Perfect Sleeper Pillow’s outstanding value and the Z Dough by Malouf’s unique design, we are spoiled for choice. Add the Snuggle-Pedic Ultra-Luxury Bamboo Pillow Queen’s snuggly support to the mix, and you’ll be tempted to take them all home. Before choosing your new pillow, take a cue from Goldilocks and make sure it is just right. 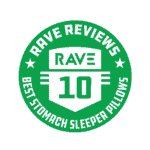 Be sure to look through our entire list of the best pillows for stomach sleepers to find the one for you. Before we let you go, how about a few other recommendations that will help to upgrade your sleep experience? Lavender Pillow Spray by Pre De Provence: Forget music. You know what makes a great lullaby? The smell of lavender and happiness. 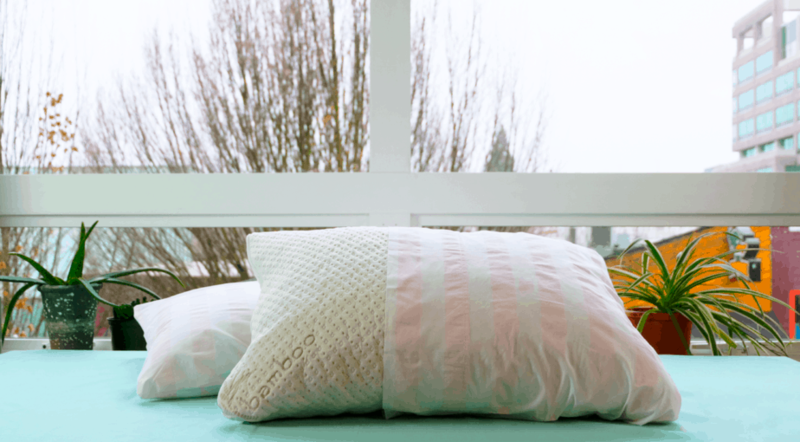 Hypoallergenic Pillow Case by Bare Home: If your pillow isn’t hypoallergenic, your pillowcase better be. Humidifier by Pure Enrichment: Station it right next to your pillow and keep the notorious Mr. Sniffles at bay. Weighted Blanket by ZonLi: Nothing will send you to sleep quicker than this soothing weighted blanket. Knee Pillow by ComfiLife: It isn’t just your head and neck that need support. This knee pillow can work wonders for your joints. Oluchi Njoku has been a copywriter, blogger, and ghostwriter for 3 years. She boasts the research ability of a fine-tooth comb as well as the good fortune of being Nigerian-born.